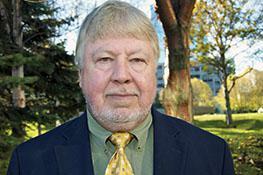 Former Superior Court Judge and Alaska Board of Fisheries member Karl Johnstone is one of Gov. Mike Dunleavy's picks to serve on the board in 2019. His potential return to the board is a point of contention for the commercial fishing industry in upper Cook Inlet. “Board members in the past have said that his backroom arm-twisting was very insulting, that he tended to force board members into taking positions they weren’t comfortable with,” he said.